Shares of SiriusXM Radio (SIRI) sank more than 2% in after hours trading following the announcement that CEO Mel Karmazin plans to step down. Karmazin told the Sirius' board of directors that he will stay on until February 1, 2013, even though his contract expires at the end of December, to allow time for an orderly transition. Sirius has formed a search committee to consider internal and external candidates. "While we understand, we regret Mel's decision to pursue other interests and are grateful for his willingness to oversee a smooth and orderly transition," said John Malone, the chairman of Liberty Media in its statement. That's a somewhat surprising statement from the man who has been engaged in a very public feud with Karmazin. 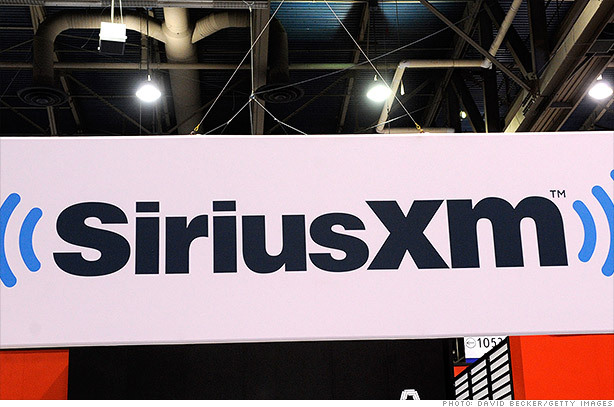 Liberty Media (LMCA) purchased a stake in Sirius in 2009 when the company was reportedly hovering on the edge of bankruptcy, and has been pushing to take control of the entire company. Sirius, under Karmazin's leadership, had been pushing back. Shares of Sirius are up nearly 60% this year. Sirius's subscriber base has shot up too. The radio company boasts more than 20 million subscribers. Deals with GM (GM), Ford (F), Toyota (TM) and other automakers helped so have expensive deals to lure celebrities like Howard Stern and Oprah Winfrey. These automakers pre-install Sirius satellite radio in their vehicles. That's helped Sirius gain users amid a highly competitive landscape. New upstarts like Pandora (P) and Spotify are battling for listening time. Consumers also have the option to buy songs and podcasts direct from Apple's (AAPL) iTunes.